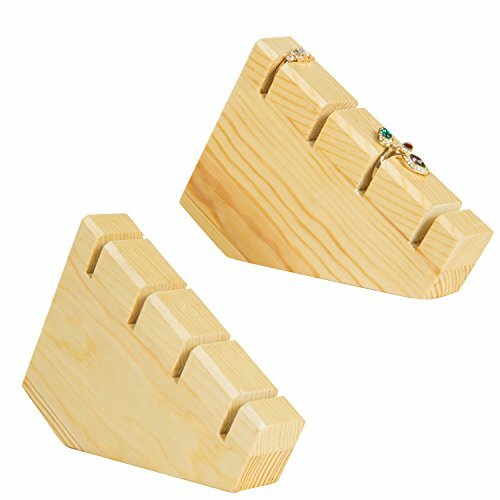 Providing a unique and versatile way to organize personal collections or retail merchandise, these angled wood ring display stands have a simple design and smart look to show exclusive and collectible items in their best light. Featuring a light beige finish to contrast lustrous gold and silver pieces, these blocks each have 4 slots to hold rings, allowing for a variety of displays using multiple stands. The angled design provides a good view of each piece, and the one-piece construction ensures durability for years of use.